First impressions matter and your grounds are your shop window. Here at Provincial Meadows we provide an exceptional service to ensure your grounds reflect the quality of your business. We offer a commercial landscape design service. 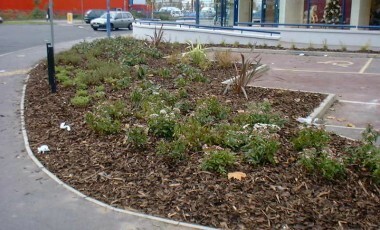 This includes hard and soft commercial landscaping. From design to completion and subsequent aftercare and maintenance. Ponds, lakes & water features. Local authority and local government. All work is overseen by experienced contracts managers. We have trained staff to ensure we deliver high quality workmanship, specified materials and plant stock. Main contractors have a clear communication channels and are afforded efficient work schedules. We look after several retail parks, businesses and gardens across the region for many clients. All of these have been continually satisfied with our service. Well planned and designed outdoor spaces and gardens can be appreciated all year round. Not only will they add value there are many extra advantages for both staff and the public. First impressions are important to potential clients, staff and the public alike. We work with you to get it right and keep it that way! 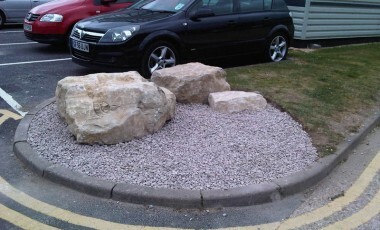 For more information about out commercial landscaping services please contact us. We would be happy to discuss your commercial landscaping needs.